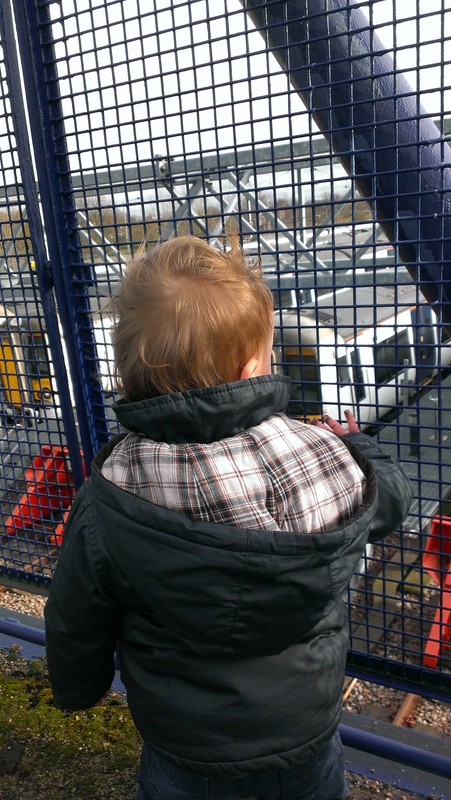 Tom is obsessed with trains at the moment. And cars too. But mostly trains. He has a little set of the brio ones that he was given for his birthday and he loves to push the trains around any available surface, whilst saying ‘beep beep’ softly to himself (he hasn’t learnt ‘choo choo’ yet although he has got ‘nee naw’ for ambulances). His obsession is quite a useful one, as it means we have a new source of entertainment when out on the Marshes. There’s a train track which runs along the top of our favourite bit, and a bridge that goes over the track and road. Anytime I let Tom choose our direction he heads straight for that bridge, which can be awkward if we have the buggy with us instead of a sling. 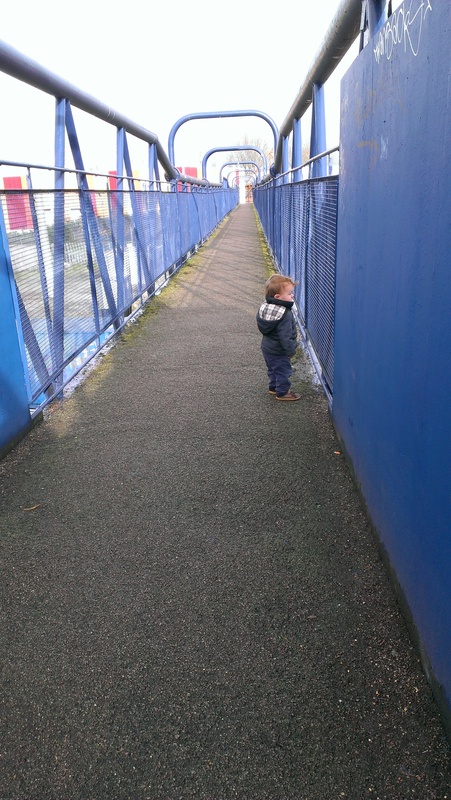 He also loves to stand by the track and watch the trains go past. I’m trying to teach him to wave, but so far he prefers just staring in amazement. I don’t know that trainspotting really counts as engaging with nature, as such. But as long as it means he’s happy to come for a walk on the Marshes with me, this is a love of his I can get behind. Choo choo! 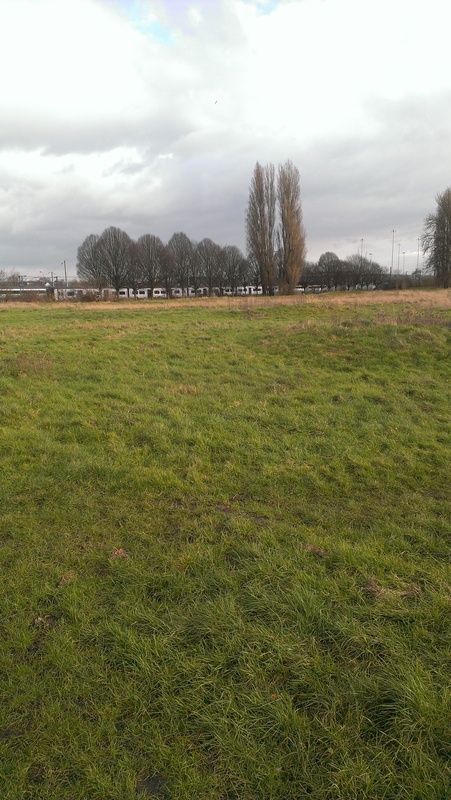 Posted on February 4, 2016 February 9, 2016 by LucyPosted in OutdoorsTagged East London, Marshes, Outdoors, toddlers, trains, walks. Previous Previous post: Why Is There Applesauce in the Bathtub? Next Next post: A Smell of Spring? Monkey Boy loves trains, too! I once took him on a “magical” train ride (commuter in-town train) when we were visiting another city. He love, love, loved it! 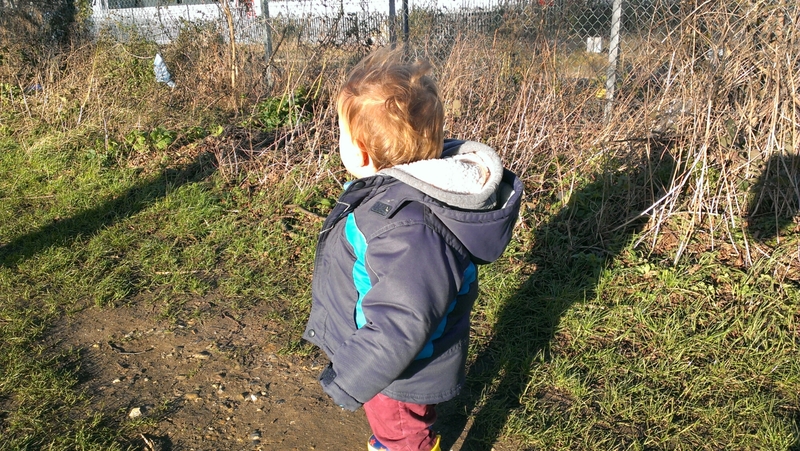 There is something special about trains for little ones and if that helps them want to get out for a walk, then great! We struggled to get my daughter to wave also. She would once whatever we wanted her to wave to left. Now she waves uncontrollably. Cute pictures.